Kiwis employed a genetic trick, researchers say. 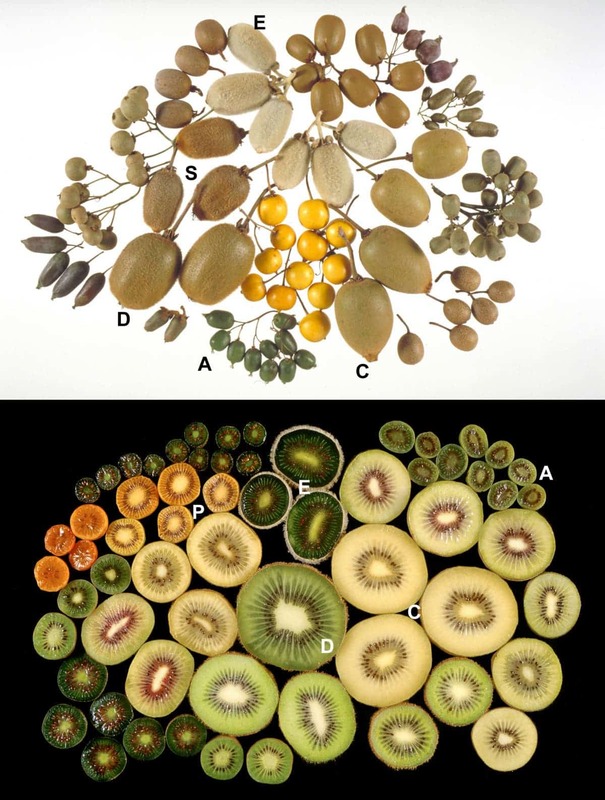 Fruits of different kiwi species. Although kiwifruits are widely associated with New Zealand, they’re actually native to China, where more than half of the global kiwi supply is produced. A member of the gooseberry family, a kiwi contains about as much vitamin C as an orange, thanks in part to a genetic trick called polyploidy. Basically, the kiwifruit’s ancestors spontaneously duplicated their DNA — twice. They found these traces by comparing the kiwi genome to other related and better-studied plants: coffee and grapes. Kiwis, coffee, and grapes share a common ancestor and thus share large swaths of genetic information. When they compared these genomes, they found that the kiwi genome had four or five copies of a gene in places where the coffee and grape genomes had only one. This particular gene was responsible for creating and recycling vitamin C.
Vitamin C isn’t only good for humans — it also contributes to plant growth and resilience, so the kiwi produced it to gain an evolutionary advantage. Meanwhile, the coffee plant didn’t need to utilize this method as its main asset was the production of caffeine — which is a natural pesticide that can also kill neighboring plant competition. Grapes, on the other hand, developed a dark pigment to give them an edge during cold spells. Moreover, researchers say this was likely the result of an auto-polyploidization event, meaning that the kiwi duplicated its own genes (in other words, this was not a result of inter-breeding). It’s not clear how common this strategy is among other plants and plant groups. Aside from offering some intriguing insight into the evolutionary history of the kiwi, this could also allow researchers to artificially mimic the technique, copying certain genes to grow more nutritious or disease-resistant produce. Wang and his team are currently looking at analyzing the genome of other agricultural plants to see whether other genes could be copied to produce more successful fruits and vegetables.